"I have no ambition, except for a comfortable existence, a small number of good friends, and freedom of action." 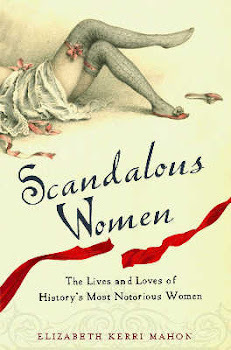 In the year and a half since I started Scandalous Women, I have written about many women across the centuries. Some have haunted me more than others, and left me hungering for more information about them. 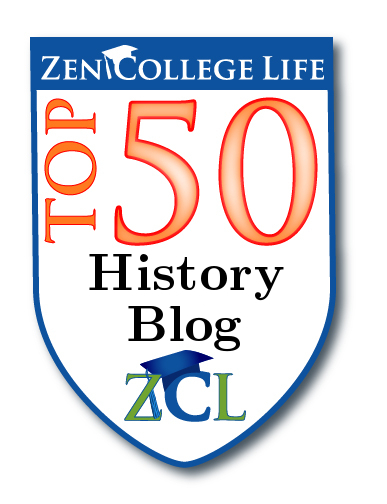 Pauline Bonaparte (1780-1825) is one of them. The general consensus from most of the books that I read while preparing my post was that Pauline was a flighty nymphomaniac who finally expired from the excesses of her life. Somehow I knew there had to be more to the life of Napoleon's favorite sister. 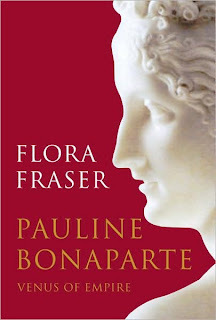 Thankfully Flora Fraser has written a new biography about Pauline that was just published last week. As far as I know this is the first major biography about Pauline in English I think ever. On the surface, Pauline doesn't seem like an excellent candidate for a full length biography. Pauline Bonaparte led no salons like Madame de Stael, nor was she a revolutionary like Charlotte Corday, or a scientist like Emilie de Chatelet. But Flora Fraser makes a credible case for her interest in Pauline. Like Josephine, her place in history rests alongside that of her powerful sibling Napoleon, but her life gives us insights into the role that women played during this period. Pauline Bonaparte was known as one of the most beautiful women in Europe as well as the favorite sister of the Emperor Napoleon. Almost eleven years younger than her brother, the two shared a special relationship. You can read my earlier post on Pauline here. I wish I had had a copy of this book last year when I wrote the post! During her brother's reign as Emperor, she was known for her scandalous love affairs and for her decision to pose for Canova's famous sculpture of her Venus Victorious. But Pauline was more than just a society beauty, she was immensely loyal to both her brother and her first husband Victor Emmanuel Leclerc. Flora Fraser (daughter of noted biographer Antonia Fraser, biography must run in the blood!) is known for her biographies of Emma Hamilton (Beloved Emma), Caroline of Brunswick (Unruly Queen) and the six daughters of George III (Princesses: The Six Daughters of George III). She does a wonderful job of bringing not only Pauline to live but also the world that she lived in. Particularly insightful are the chapters detailing Pauline's life in Saint-Domingue (present day Haiti) when her husband Leclerc was in charge of quelling Toussaint L'ouverture's rebellion. Pauline showed remarkable courage under difficult circumstances. Fraser does much to quell most of the rumors and myths about Pauline, (everything from lesbian affairs to incestuous relations with her brother were thrown at her during her lifetime), particularly the notion that the death of her son Dermide meant nothing to her. Prior biographies make Pauline out to be a heartless mother, who went on willy-nilly after his death without a thought of his passing. Instead, Dermide's death was a contributing factor to the demise of her marriage to Camillo Borghese which limped on for several years after his death. Pauline blamed Borghese for insisting that Dermide stay behind in Rome while they traveled up north in Italy for the summer. Fraser makes the case that the rumors were started by anti-Napoleon factions and those who were plain jealous of Pauline. Pauline was also a shrewd business woman as well as astute politically. When Napoleon became Emperor of the French, Pauline was uneasy about the crown that her brother wore. What is remarkable about Pauline's life, was that in an age, where women were the property of their husband's and had very little freedom even among the upper classes, Pauline pursued a life free of restraint. One senses that even if the family Bonaparte had never risen in the world due to Napoleon, Pauline would have found a way to live a life of freedom of action. Pauline was a force of nature who couldn't be controlled by anyone least of all her brother Napoleon, who she openly defied. Throughout her life, Pauline captivated the world with her beauty, boundless quest for passion and diamonds (which she wore frequently, sometimes covering her gowns in them), and her high-handed manner (for instance using her ladies-in-waiting as footstools). Fraser fleshes out the privileged and politically unstable world of post-revolutionary France and Napoleon's reign. After her son's death, her raison d'être seemed to be the joyful pursuit of pleasure in her love affairs, which Fraser asserts may have been a source of her invalidism throughout her adult life. It seems that birth of her son Dermide may have led to gynecological problems complicated perhaps by veneral disease. She seems to never have able to have other children, not even a hint of pregnancy after his birth. Fraser provides insight into the permissive culture of the French Empire and glimpses into Napoleon as a protective and frequently exasperated older brother while simultaneously engaged in politics, invasions and his eventual fall from power. She also paints a remarkable portrait of the Bonaparte family and the matriarch, Letizia Bonaparte (Madame Mere), the infighting between siblings, and particularly their disdain for Josephine. Pauline's loyalty to her brother led her from France to Elba, and would have led to St. Helena as well if she had been able to gain permission to join her brother in his final exile. She was the only sibling who didn't desert Napoleon after his fall from power. Pauline, for her part, survived her setbacks with style-"I am the sister of Bonaparte. I am afraid of nothing, "expressing a vitality and joie de vive that Fraser clearly admires without being blinded by her subject's flaws. Fraser has enormous sympathy and affection for Pauline and it comes through in the writing. In stores now, Fraser's book can be purchased at Barnes and Noble, Amazon, and Powells. Right on! I had my fingers crossed that this one would be worth purchasing and you've just sealed the deal! That was a fantastic review! This will be the first I've read about her, but it looks like I wanted til the right one came along! Thanks for the review! 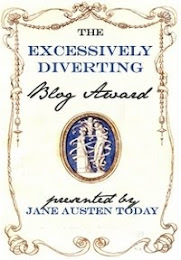 "......I wish I had had a copy of this book last year when I wrote the post!......." Why not add the new information to your previous piece on Pauline, then re-issue it as a new posting? It'll enjoy a second life. 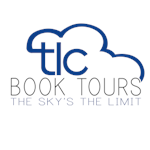 WOW.. thanks what an interesting historical figure.. i am alwlays looking for my next book.. and this seems to be the one.. It's a great book and Pauline Bonaparte is a fascinating subject. I highly recommend it.